With over twenty years experience working with developers and local authorities delivering complex and mixed-use schemes of local, regional and national significance, David joined Iceni in 2016 to form Iceni Delivery. Iceni Delivery’s objective is to help secure sites and viable planning consents as efficiently as possible to enable development to start on site. 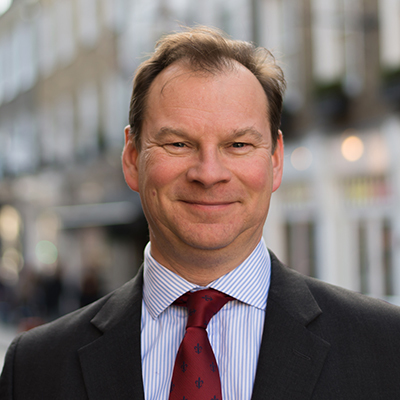 David’s career has been in private sector consultancy, working on housing, regeneration and infrastructure schemes, being a formative part of a planning and compulsory purchase team and as Partner at Donaldsons, heading a CPO and Regeneration Team. Latterly he was a Director in Retail Development at DTZ, before forming his own consultancy, Town Centre Regeneration Ltd, in 2009. He has advised developers, occupiers and local authorities on viability, planning and site assembly, including the use of Compulsory Purchase, for major infrastructure, employment, residential and mixed-use retail led schemes. He has a practical understanding of the assumptions required to bring development sites forward and has structured complex development and planning agreements, taking challenging policy objectives into account while meeting the funding and commercial objectives required to bring sites forward for development. In assembling sites for development David has negotiated land equalisation agreements and appeared at Compulsory Purchase inquiries as an expert witness. In advising on Viability he has appeared at Public Inquiry and informal hearings on behalf of applicants . He has deployed arguments which have been supported in the House of Lords. David is a Member of the Royal Institution of Chartered Surveyors, a member of Revo, formerly the British Council of Shopping Centres, having sat on the Asset Management and the Urban Development Committees, and is a member of the Compulsory Purchase Association.